Outdoor ice merchandiser freezers are ideal for establishments that don’t have enough room inside of the buildings for ice storage. 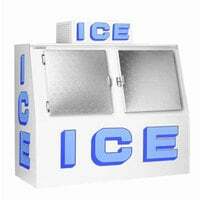 By having one of these units outside, a customer can simply pay for their bagged ice at the register and grab it on the way to their car. Plus, since these models feature locking doors, you can rest assured your bagged ice won’t be stolen after store hours. Also make sure to check out other great items from Leer and Polar Temp. Polar Temp 1000AD Auto Defrost Outdoor Ice Merchandiser - 100 cu. 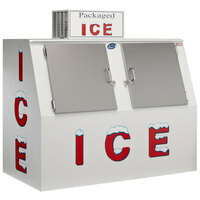 ft.
Polar Temp 600AD Auto Defrost Outdoor Ice Merchandiser with Slant Front - 60 cu. 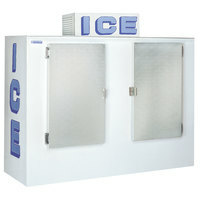 ft.
Polar Temp 600CW Cold Wall Outdoor Ice Merchandiser - 60 cu. 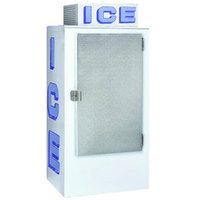 ft.
Polar Temp 300CW Cold Wall Outdoor Ice Merchandiser - 30 cu. 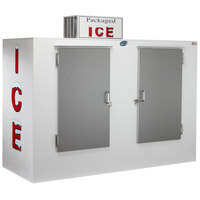 ft.
Polar Temp 650AD Auto Defrost Outdoor Ice Merchandiser - 65 cu. 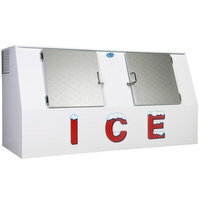 ft.
Polar Temp 300AD Auto Defrost Outdoor Ice Merchandiser - 30 cu. 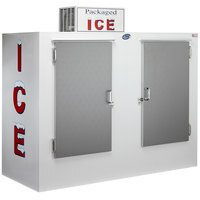 ft.
Polar Temp VT400CW Cold Wall Low Profile Outdoor Ice Merchandiser - 40 cu. 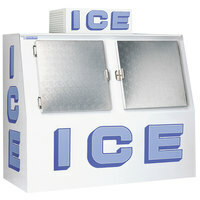 ft.
Polar Temp 380CW Cold Wall Outdoor Ice Merchandiser - 38 cu. 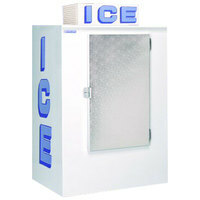 ft.
Polar Temp 1000CW Cold Wall Outdoor Ice Merchandiser - 100 cu. ft.
Polar Temp 380AD Auto Defrost Outdoor Ice Merchandiser - 38 cu. ft.
Polar Temp 420AD Auto Defrost Outdoor Ice Merchandiser - 42 cu. 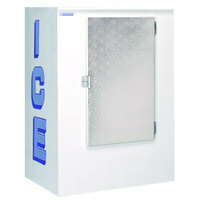 ft.
Polar Temp 420CW Cold Wall Outdoor Ice Merchandiser - 42 cu. 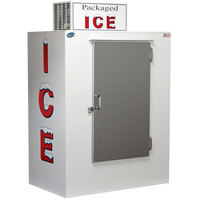 ft.
Polar Temp 630AD Auto Defrost Outdoor Ice Merchandiser - 65 cu. 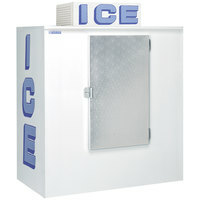 ft.
Polar Temp 630CW Cold Wall Outdoor Ice Merchandiser - 65 cu. 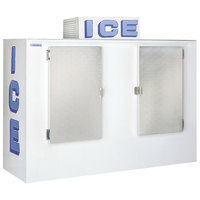 ft.
Polar Temp 650CW Cold Wall Outdoor Ice Merchandiser - 65 cu. 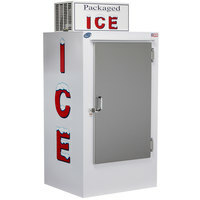 ft.
Polar Temp 670AD Auto Defrost Outdoor Ice Merchandiser - 65 cu. 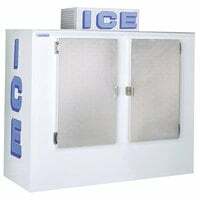 ft.
Polar Temp 670CW Cold Wall Outdoor Ice Merchandiser - 65 cu. 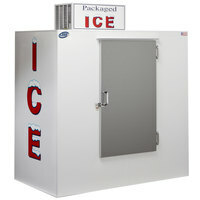 ft.
Polar Temp 750AD Auto Defrost Outdoor Ice Merchandiser - 75 cu. 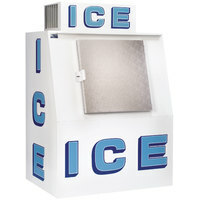 ft.
Polar Temp 750CW Cold Wall Outdoor Ice Merchandiser - 75 cu. 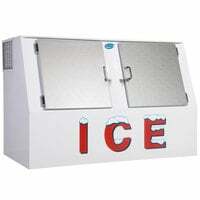 ft.
Polar Temp 850AD Auto Defrost Outdoor Ice Merchandiser - 85 cu. 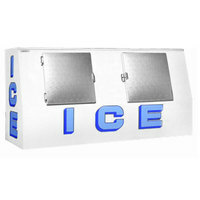 ft.
Polar Temp 850CW Cold Wall Outdoor Ice Merchandiser - 85 cu. 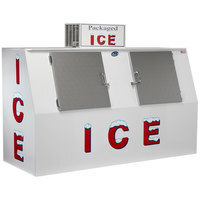 ft.
Polar Temp 900AD Auto Defrost Outdoor Ice Merchandiser with Slant Front - 90 cu. ft.
Polar Temp 900CW Cold Wall Outdoor Ice Merchandiser with Slant Front - 90 cu. 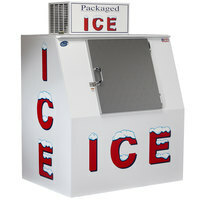 ft.
Polar Temp VT400AD Auto Defrost Low Profile Outdoor Ice Merchandiser - 40 cu. 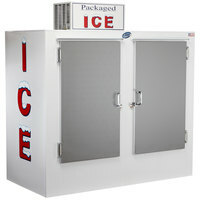 ft.
Polar Temp VT570AD Auto Defrost Low Profile Outdoor Ice Merchandiser - 60 cu. 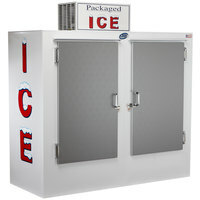 ft.
Polar Temp VT570CW Cold Wall Low Profile Outdoor Ice Merchandiser - 60 cu. ft.
Our selection of outdoor ice merchandiser freezers includes options of various capacities to accommodate your medium- or high-volume storage needs. You’ll also find that these items feature solid doors that provide extra insulation to protect ice from the sun and heat. Also, just like their indoor counterparts, these outdoor merchandisers have colorful decals on their exteriors for product identification. 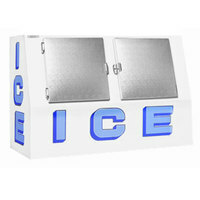 For other great supplies for your business, be sure to check out our ice bags, ice transport buckets, and ice baggers. If you're wondering where to buy outdoor ice merchandisers, we have a large selection of outdoor ice merchandisers for sale at the lowest prices.